The 3 Summer Beauty Products I Can’t Live Without! Woo-hoo! It’s officially summer, friends! We all want to look great over these sunny, warm months so today I am sharing the 3 summer beauty products I can’t live without. And the best thing? They’re actually fabulous all year round! This is one of my all-time favorite beauty-related products ever. I apply the quick and simple 2-part treatment before bed and wake up with skin that is completely exfoliated and soft as a baby’s bottom in the AM! The ultra-gentle 2 part peel is light enough for daily use; however, I tend to use it just 1-2 times per week. My skin is not just sensitive – it’s both thin and super easy to irritate. Also, this product is a bit on the pricey side for daily use. I may try one 7-day deep treatment challenge some time this summer to see if I notice even more extensive results. My hair is not summer hair. I was somehow blessed with locks that are ultra-fine, straight on top and the front but curly underneath and highly prone to frizz, wind damage, etc. Humidity is NOT my friend. So, I’ve been getting salon Keratin treatments for some time. These are great, but they are pricey! This product is part of the sulfate-free shampoo line that I use to prolong the salon keratin’s effect. The replenisher just takes things one step further. 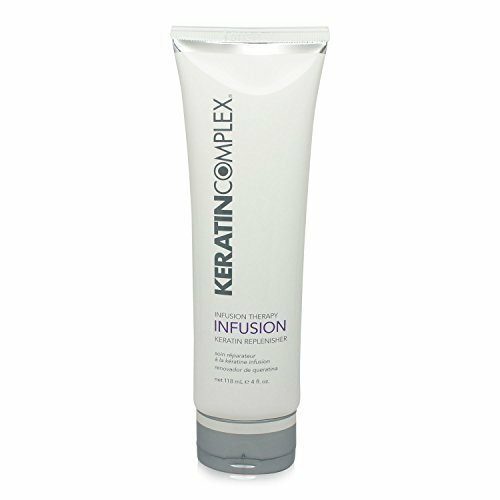 As the treatment starts to fade, I use this product about once a month to replenish the keratin and give that “just from the salon” silky and smooth feel. It’s also great to use prior a special event for some extra smoothness, even if you don’t get regular salon keratin treatments. It’s easy to use. Apply after showering and put on a shower cap. Blow dry your hair while wearing the shower cap for 3 minutes. Remove the cap (but leave the product in) and style as usual. If your hair is just a little frizzy, you can skip the shower cap portion and just apply and style. Not a lot of product is needed, so start with less until you know the correct amount for your hair texture/length. Always protect your skin, beach babes! What I love most about this sunscreen is the powdery, silky finish! It just feels GREAT when it is on. On a recent girl’s trip, a friend borrowed some and commented the same thing. I’ve been using this product for about 2 years now and really feel it’s the perfect facial sunscreen. It is a zinc/mineral-based screen, not chemical-based and is also cruelty-free. Mineral based screens are shown to be more effective for UV protection; not to mention more environmentally friendly. It blends in beautifully so you aren’t stuck with a ghostly white cast. Oh, and it’s wallet friendly. But the feel is what keeps me coming back for more of this product. Try it and you won’t be disappointed! Check out more of my beauty favorites on my Shop page. Until next week, beauties – enjoy summer! Yesss to face sunscreen. My face tends to burn the first, and super quickly. I love the look of tan skin but am committed to just using self-tanners now. A bunch of sun without protection really takes a toll on the skin! 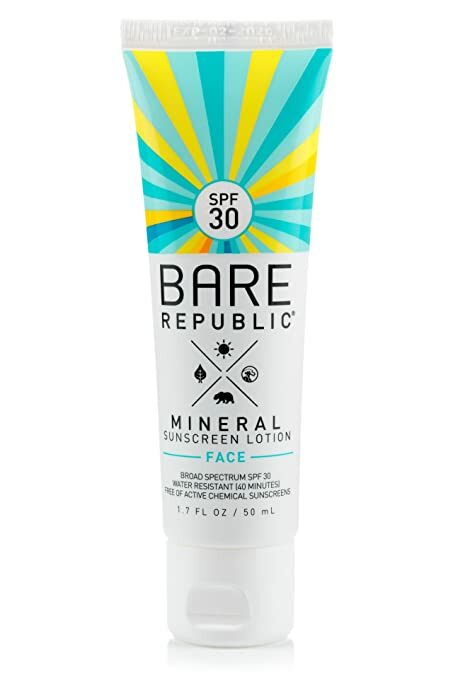 I’ve been looking for a new mineral based sunscreen and need to try Bare Republic. I love that is has a silky feel to it! Thanks for sharing your favorites! 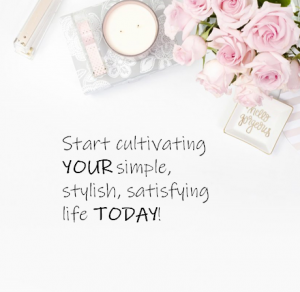 It’s so great – I’m totally hooked on it! Hope you like it if you try it. I think these products are def a must for summer. 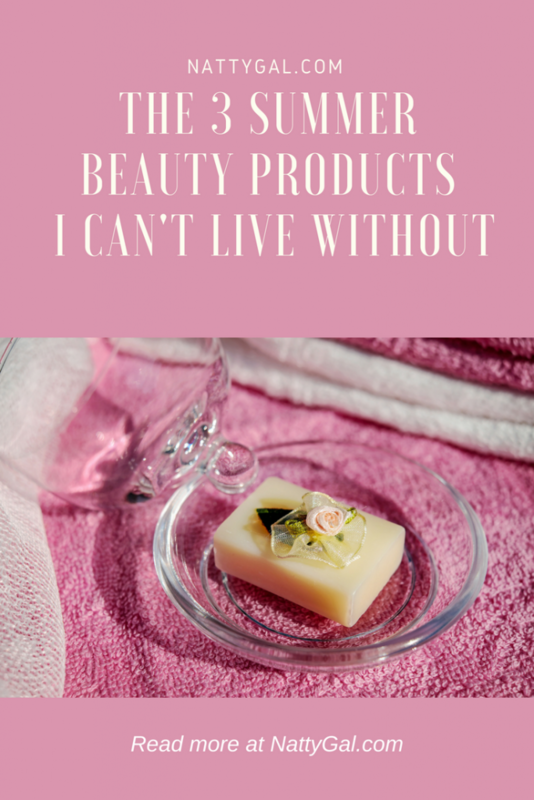 I use sunscreen on my face daily and do some anti-aging regimens, though I’m always on the lookout for a new anti-aging products to test and compare. Thanks for sharing.